BRYAN EATON/Staff photo. Sensei Zach Mauro and assistant Cy Alphonse, from Dojo in Salisbury, are teaching students karate at the Bresnahan School Afterschool Program. 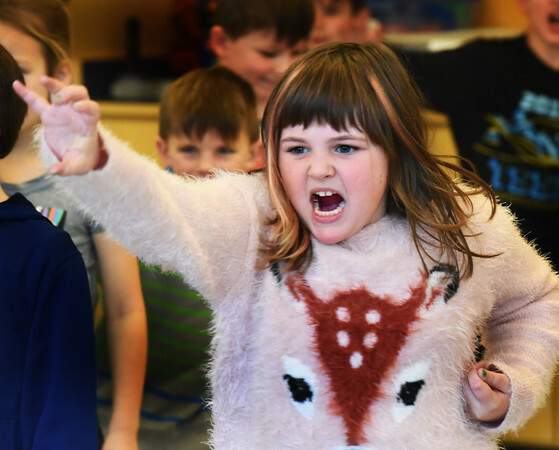 Violet Aldrich, 8, shows some intensity as the youngsters go through a warmup on Monday afternoon at the Newburyport School.